Broadmead's mission is to foster independence, growth, and the opportunities in elderhood by supporting a dynamic community, providing exceptional health services, developing collaborative relationships and upholding Quaker values. The Stony Run Friends Meeting founded Broadmead as a way to serve the needs of older persons. It opened in 1979 as a private, not-for-profit, continuing care retirement community. Broadmead is a CCRC (Continuing Care Retirement Community). A CCRC offers multi levels of care across a single campus. As a resident grows older, they will be able to receive the level of care and support that they need within the same community. Broadmead is home to approximately 380 residents and offers independent living (Garden Homes aka "the Clusters"), assisted living (Taylor Hall), and skilled nursing care (Hallowell Hall) on its beautiful 94 acre campus. 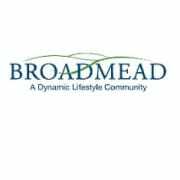 Would you recommend BROADMEAD INC?